We met Carré Callaway, on Twitter as she was attempting to find a drummer to join her LA based band Queen Kwong for approximately 3 shows in London/Paris this Month. 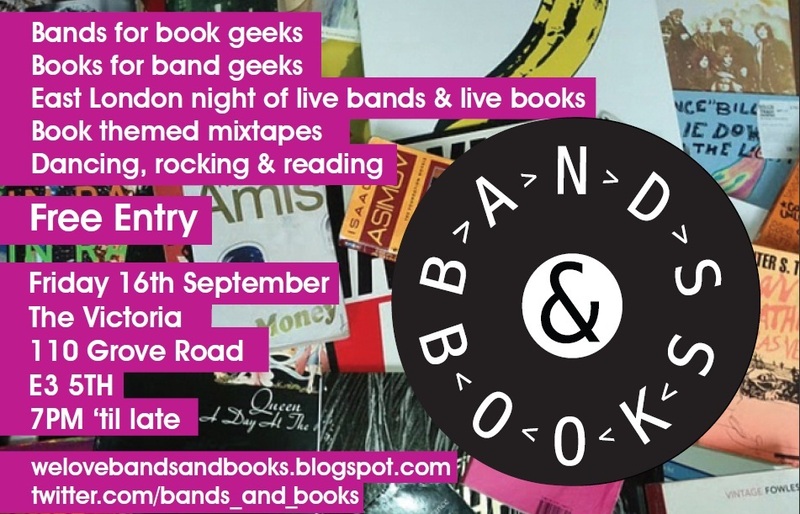 Bands & Books knows a few musicians, although sadly no drummers so we were unable to help. Fortunately the drummer thing worked itself out anyway and we booked Queen Kwong for our Bands & Books launch night on September 16th. Right now I'm reading Salman Rushdie's The Satanic Verses"